Rugs can come in all shapes and sizes. From inexpensive door mats to expensive heirlooms, one thing remains the same: they, too, must be cleaned. In fact, the more natural a rug's fibers and weaving is, the more dust and soil they attract. If you have an antique Persian rug, be prepared for regular cleanings. Rug cleaning methods also vary, but can usually be summed up by steam cleaning and hand washing techniques. Steam cleaning is typically applied to synthetic rugs while hand washing is reserved for delicate, hand woven pieces, like Oriental, Persian, and Afghan rugs, for example. UCM Services Orange County treats rugs individually and with care. Our cleaning warehouse employs several professional artisans who hand dust, hand wash, and hand groom antique rugs. We also have a temperature regulated room where the drying process takes place. We have several racks that are large enough to fit several rugs so you will not have to wait for your cleaning to be complete. 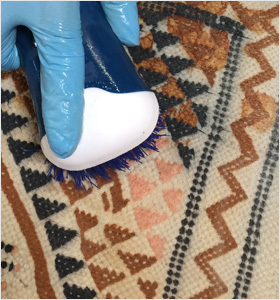 Rug repair is a sensitive work that often involves appropriating the exact fiber and color dye. For the money you pay for your rug cleaning you should rest assure that your rugs will be delivered back to you in perfect, brand new condition. We know that your rugs are financial and personal investments and want you to feel secure in leaving your items with us. That is why our call center is open 7 days a week for any questions or concerns you might have. Our rug pick up and delivery is at no extra cost to you. Just consider it part of our job. 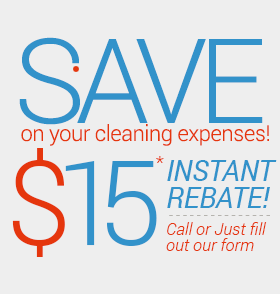 Call UCM Services Orange County at 949-385-3969 to schedule a rug cleaning today!